(7 March 2012) The International Campaign for Human Rights in Iran today welcomed the comprehensive report of the UN Special Rapporteur on the situation of human rights in the Islamic Republic of Iran, Ahmed Shaheed, as a significant document that gives voice to the victims of widespread violations. 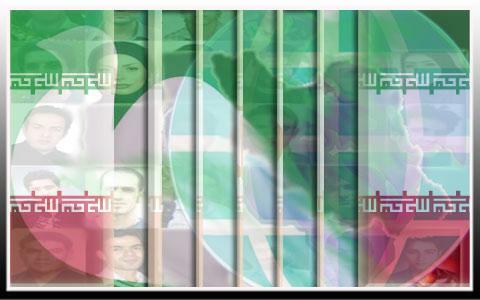 The Campaign called on the Iranian government to end its absolute lack of cooperation with UN mechanisms and its systematic violations of its international obligations and to work with the Special Rapporteur to address the human rights crisis in that country. “This is just the beginning of a process at the UN level to reveal and address the many aspects of gross and systematic human rights violations in Iran,” he added. The Special Rapporteur called for “a moratorium on the death penalty for all crimes until such time as effective enforcement of due process rights may be meaningfully demonstrated.” His report notes the skyrocketing rise in the number of executions, from less than 100 cases in 2003 to at least 670 cases in 2011. The report includes testimony from a former member of the Iranian parliament who details allegations of fraud in the 2009 presidential election, as well as the 2008 parliamentary election. Since Shaheed’s appointment in August 2011, the Iranian government has avoided any substantive discussions with him or any response to allegations he produced in his interim October 2011 report. The government has also intensified its attack on human rights defenders. Just days before the release of Shaheed’s recent report, the Judiciary issued draconian prison sentences against prominent human rights defenders Abdolfattah Soltani and Narges Mohammadi, sentencing them to 18 years and 6 years in prison, respectively. “Targeting the human rights community in such a brazen and unjustified way, just before the release of this UN report, together with the government’s persistence in not cooperating with UN mechanisms, demonstrates that the Iranian Judiciary has no respect for international norms and standards of justice,” Ghaemi said. Shaheed’s report was submitted for review and comments to the Iranian government well before its publication, in accordance with standard UN protocol. However, as the report makes clear, Iranian authorities failed to make any substantial response to allegations of widespread violations documented in the report. In response, Shaheed made clear the only public gatherings he participated in were press conferences at the UN and other media interviews. He also noted that his report is based on dozens of interviews with victims and witnesses whose credibility has been established by a number of independent sources. The Campaign called on the members of the Human Rights Council to vote for a resolution renewing the Special Rapporteur’s mandate and to urge the Iranian government to cooperate with his mandate as well as all other UN human rights mechanisms during its current session. 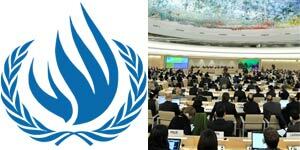 The 19th session of the Human Rights Council is currently underway in Geneva until 23 March 2012. Special Rapporteur Ahmed Shaheed will make a presentation regarding his findings to the Council on 12 March 2012.